Have you ever wanted to know an entrepreneur’s secret to success? Wanted to pick the brain of someone whose business inspires you daily? 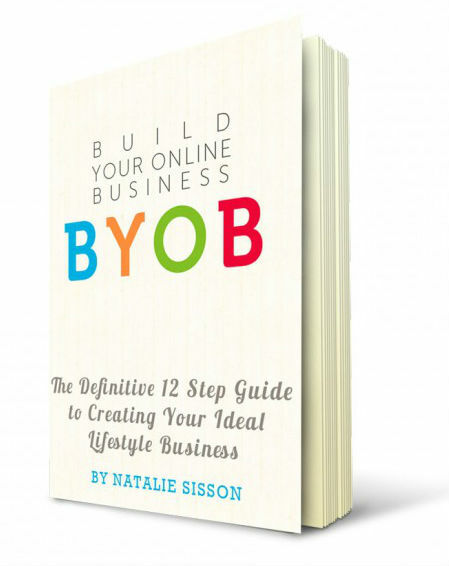 Natalie Sission is spilling the beans on how she built her six-figure online business in just 18 months, using her skills and knowledge, and takes you behind the scenes on how you can do the same. So get ready to Build Your Online Business! Comprehensive! Natalie’s e-book walks you through every crucial step, including some that other books we’ve seen skip over like affiliate marketing and webinars. Plus, she shares all the resources she used when she first set up her business. Essentially she’s put all the wisdom she learned from her launch and meteoric rise to success into this e-book to help you avoid the pitfalls and build your own successful, six-figure, online business. What makes Natalie’s e-book unique? Natalie doesn’t gloss over anything. She tells the truth when it comes to the time and effort involved in building an online business but she tempers it with the inspiring case studies of people who have followed her advice. Her book lets you take a behind-the-scenes look at how she built up her six-figure business in less than two years. Who else would let you have that kind of information? This is really hard because there’s so much I loved about it! She covers how to blog for money, which is something I always love reading about, and even delves deep into how the psychology of selling online. Many people scoff at this but if you don’t know how your customers feel about shopping online, you won’t know how to structure your shop to calm their fears and make them eager to buy from you. Plus, let’s not forget that a killer sales page makes all the difference when it comes to reaping in the money. I’ll be honest; you are going to LOVE this book. It’s what all of us have been waiting for – the secrets to someone’s success. But in many way it’s so much more because Build Your Online Business provides you the resources and information you need to follow in Natalie’s footsteps and create a six-figure online business that allows you to live the life you have dreamed of for years. So what are you waiting for? Go check it out! Sounds amazing, I’m buying it!